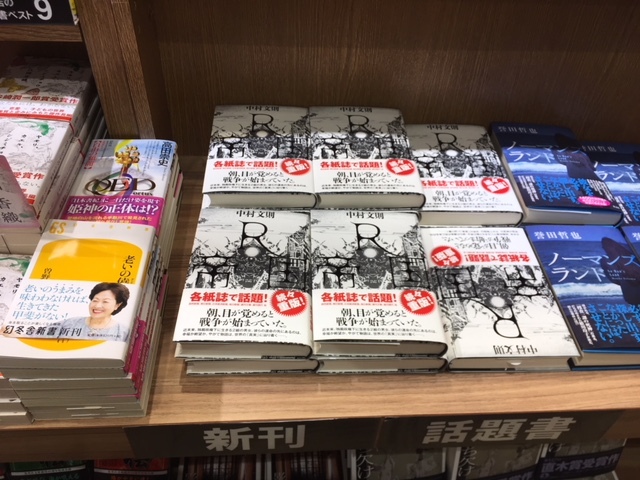 Copies of R Empire by Fuminori Nakamura being promoted within the ‘new books’ and ‘books of interest creating a stir’ section at a Tokyo bookshop. Photograph: Red Circle Authors Limited. The Red Circle author Fuminori Nakamura, who is known for penning fast-paced narratives hypnotically blending psychological suspense with literary fiction, is hypnotising booksellers and readers across Japan with his much anticipated latest novel, set in the near future in an island nation run by a controlling authoritarian government on the brink of war. 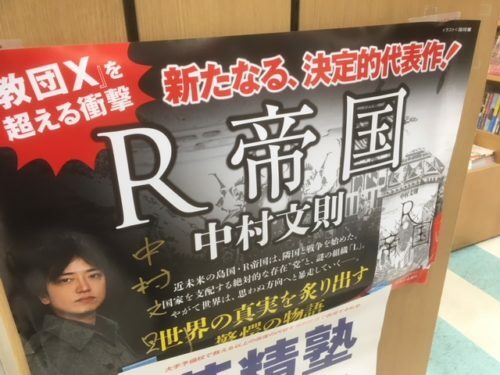 The novel, R Empire (R帝国), was published in the summer last year by Chuokoron-Shinsha, Inc, one of Japan’s largest publishing houses, having been serialised in the evening edition of Japan’s most widely read newspaper, the Yomiuri Shimbun. Extracts from the novel were published daily over a six-month period (May 23 2016 – February 2nd 2017) receiving excellent feedback and gripping the nation with a story with undertones of our times; with a North Korean-like all powerful state, fake and manipulated news, and a population encouraged into drug addiction. The book, which is also said to have echoes of 1984 by George Orwell (1903-1950) about it, is selling so well that it is hard to find a bookshop in Japan that is not stocking it or promoting it prominently within their store. In store promotion at a Books Kinokuniya shop in Yokohama for Fuminori Nakamura’s novel R Empire. Photograph: Red Circle Authors Limited. In December staff at Books Kinokuniya, Japan’s largest bookshop chain, selected the title as its 2018 best book, leading its very important list of the 30-top recommended books published in the last 12 months. The selection of R Empire will be followed by a special nationwide campaign at all of Kinokuniya’s 64 bookstores in Japan. R Empire is set in the future in a country dominated by the party of ‘absolute power’ where people receive their information through advanced Artificial Intelligence (AI) terminals called HPs. The book begins with a quote from Adolf Hitler that sets the scene: “The great masses of the people will more easily fall victim to a big lie than to a small one”. The story commences as a war is initiated. Wars need to be justified, but there is something different and seemingly fraudulent about this one as Yazaki an ordinary salary man and Kirihara a former secretary to a senior member of the “opposition” party notice. Cover, designed by Shogun Neko, of R Empire a novel by Fuminori Nakamura. This is “a war novel without a hero” that is gripping the nation and forcing readers to reflect on the times they live in, in a similar manner to 1984, by amplifying some of the dark trends of the times to their potential extremes in an imagined society of the near future. 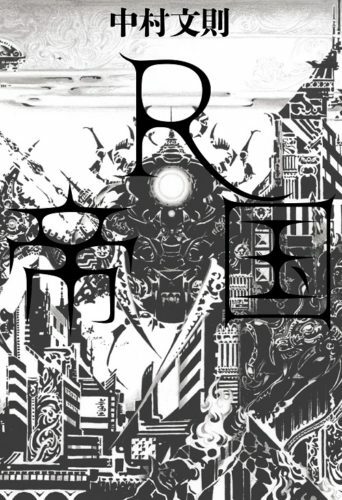 The novel’s dramatic cover design by the highly regarded and popular illustrator Shogun Neko (猫 将軍), like the story itself, is drawing attention to the book and its hypnotic and compelling dystopian story. Several industry experts are tipping this book as the next likely winner of the commercially important Japan Booksellers’ Award. 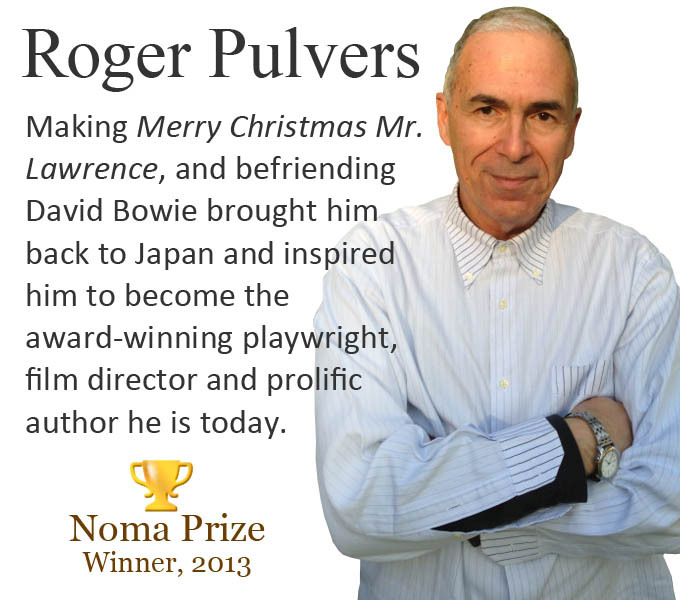 More information on the book in Japanese can be found on its publisher’s website here. And one of the many positive Japanese language reviews of the book from The Asahi Shimbun, Japan’s most prestigious newspaper, here.